Fantastic Beasts: The Crimes Of Grindelwald is a film that feels almost as unwieldy as its title. Despite some impressive set pieces and a welcome return to Hogwarts, David Yates’s film is all set-up with, sadly, no satisfactory pay-off. FB2 as I shall now call it (because life is too short) begins with a New York prison break. 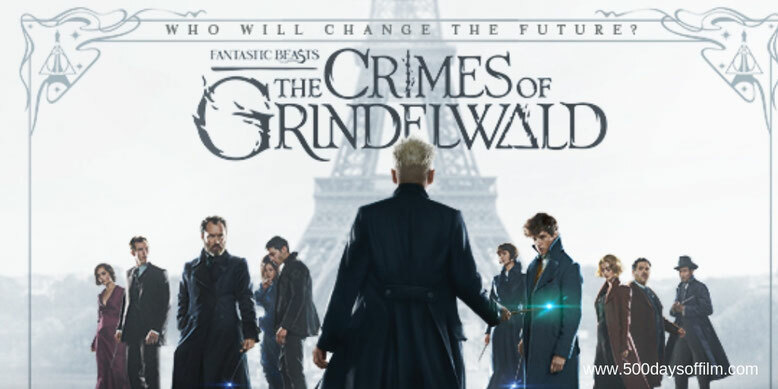 Grindelwald escapes his confines in a breathtaking CGI sequence that introduces the film’s markedly darker tone (this is a higher end 12 rating than Fantastic Beasts And Where To Find Them). However, the movie’s opening also emphasises FB2’s commitment to expanding Johnny Depp’s role in the franchise. As Grindelwald himself, Depp gives a reasonable performance. It has potential but, given recent off-screen revelations, it also feels uncomfortable. The only person capable of confronting Grindelwald is one Albus Dumbledore - here played with suitable, sparkly charm by Jude Law. Of course (in one of many Harry Potter parallels) Dumbledore cannot face him directly. No, for some unlikely reason, he needs Newt Scamander (Eddie Redmayne) for that task. Newt embarks upon on a David and Goliath mission to Paris. It is entertaining enough but nothing special or, well, particularly magical. His journey allows FB2 to check in with a number of characters (and a few beasts… the baby niffler is very cute) from the first film - namely Dan Fogler’s Jacob, Alison Sudol’s Queenie and Katherine Waterston’s Tina. It turns out that they are all (Grindelwald too) on the hunt for Credence Barebone (the always superb Ezra Miller). Credence, meanwhile, is on the hunt to find his true identity - along with his friend, Nagini (Claudia Kim). Nagini’s origin story is more compelling than most of the (many) other plot threads in FB2. Sadly, there just isn’t the room to develop this (or really any other) character. Perhaps Nangini’s is a story for another movie - JK Rowling has said that there will be five films in total. I do hope that this is the case. Meanwhile, there is yet another storyline involving Newt and his brother, Theseus Scamander (Callum Turner), and their complicated relationship with Theseus’s fiance Leta Lestrange (Zoë Kravitz). There is just such a lot going on and, as a result, FB2 whirls through a series of dizzying tonal shifts - stopping only for moments of heavy handed exposition. While there is fun to be had and it is great to hear familiar names and see familiar places, this film feels unnecessarily bewildering and convoluted. You get the sense that, rather than aiming for a thrilling adventure in its own right, FB2 is frantically moving chess pieces around for the benefit of future franchise episodes. Have you seen Fantastic Beasts: The Crimes Of Grindelwald? If you have, what did you think of this movie? Let me know in the comments section below or via Twitter. You can find me @500DaysOfFilm.